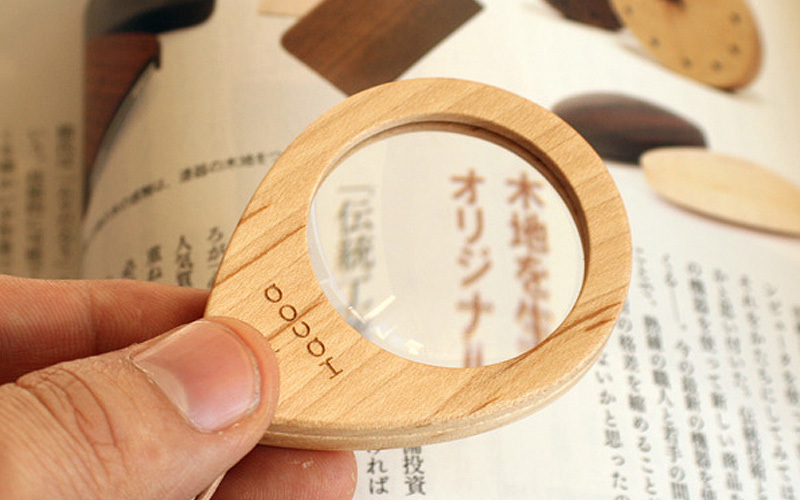 This portable loupe with neck strap can be worn like a pendant necklace. 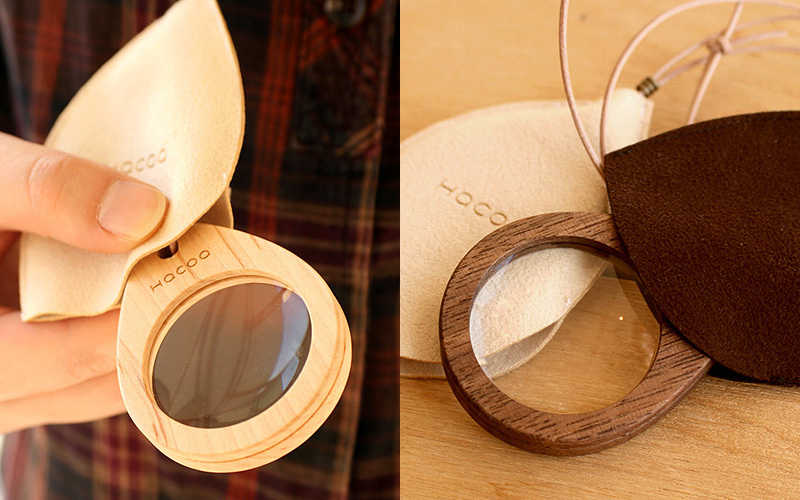 It comes in a leaf-shaped sleeve to protect the lens and transform the loupe into a fashion item. You can enjoy warm touch of wood every time you use it. Available in profound Walnut and charming Maple.